Impeccable home in highly sought after location! Rarely available fully-renovated and expanded craftsman in historic Rosemont.Open floor plan flooded with natural light and full of warmth and charm. Hardwoods throughout. Tastefully-appointed granite kitchen w/ high-end stainless appliances. Master bedroom with luxurious en suite tiled in marble. Antique double vanities in both upstairs baths. Gas fireplace. Large basement offers storage. 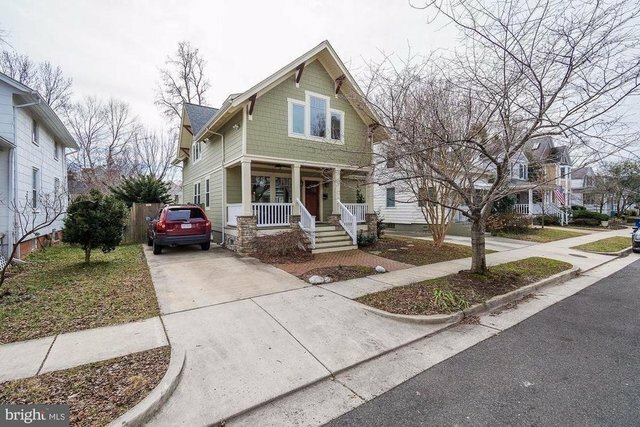 Fully fenced yard with patio for entertaining.Short walk to metro, Old Town, Del Ray, dining, and parks!